On July 12, the Centers for Medicare & Medicaid Services (CMS) released the proposed rule for the 2019 Medicare Physician Fee Schedule, which also includes updates to the Quality Payment Program (QPP) and other Medicare Part B payment policies. The rule outlines a number of important changes of which urologists should be aware. Creating single blended payment rates for new and established patients for office/outpatient E&M visit levels 2-5, and making additional accompanying payment changes intended to improve payment accuracy. Creating a HCPCS add-on G code for visit complexity inherent to E&M associated with urology in addition to an E&M visit. CMS is soliciting public comment on potentially eliminating a policy that prevents payment for same-day E&M visits by multiple practitioners in the same specialty within a group practice. 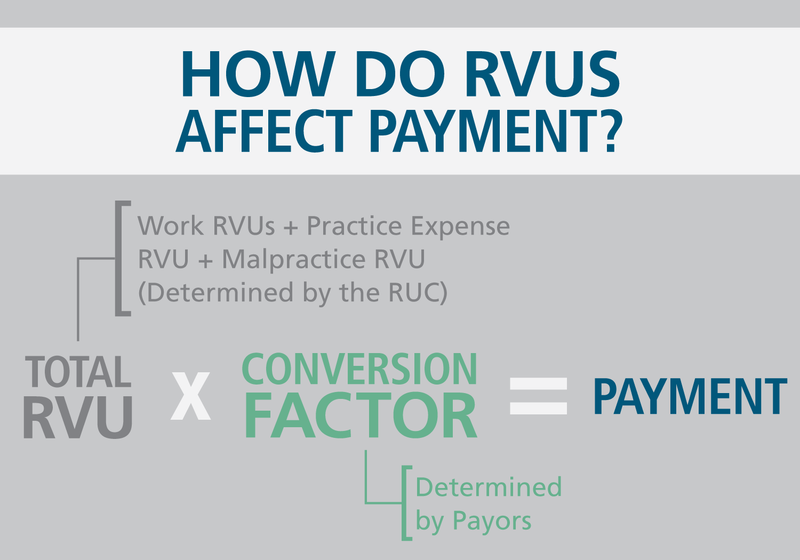 Learn how the conversion factor affects your payment. 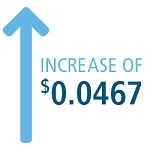 CMS estimates that the proposed Fee Schedule changes will result in a positive, 3 percent increase in allowable charges for urology (work RVU increase of 2 percent and PE increase of 1 percent). Expand Medicare-covered telehealth services to include prolonged preventive services. 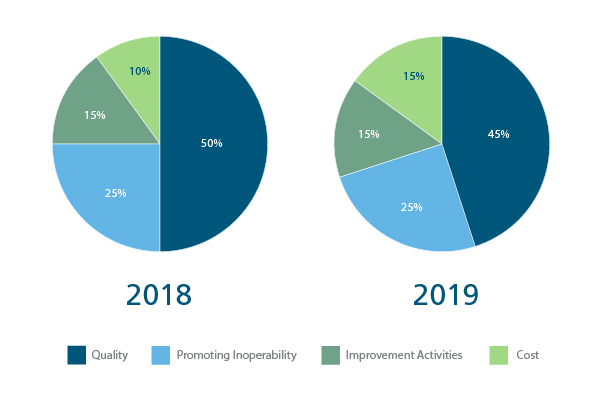 CMS is proposing the below changes in weights for the following MIPS categories: Quality, Promoting Interoperability (formerly Advancing Care Information), Improvement Activities, and Cost. MIPS Performance Thresholds: To avoid penalties, MIPS-eligible clinicians must achieve a certain MIPS Final Score based on performance across all four MIPS categories, called the performance threshold. MIPS-eligible clinicians who exceed the performance threshold are eligible to receive upward payment adjustments. Additionally, MIPS eligible clinicians may quality for an additional payment adjustment if they exceed an exceptional performance threshold. Requirements for Electronic Health Record (EHR) Technology Certification: 2019 MIPS-eligible physicians must use EHR systems that are certified to 2015 Certification Criteria. Update: The AUA is in the process of reviewing the rule in its entirety, and has published a more detailed analysis, including conversion tables for common urology codes, on AUAnet.org. For more information or for questions, please contact the AUA at R&R@AUAnet.org.